Steelcraft Gates Ltd offer a wide range of security grilles for both windows and doors designed and handmade to order. 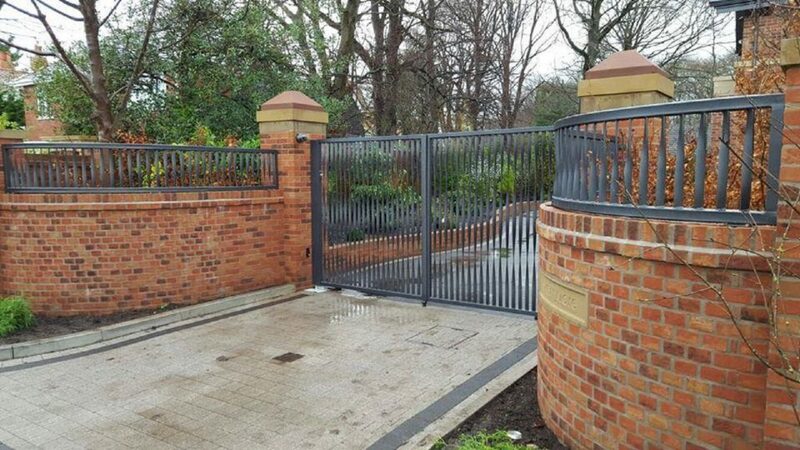 At Steelcraft Gates Ltd we design, manufacture and install both manual and automated gates to meet any customer requirements at affordable prices. We also supply and install automation kits for existing gates that have been manufactured elsewhere. At Steelcraft Gates Ltd we supply several different ways to automate your gates. The equipment for automatic security gates range from underground units, post mounted units and sliding units. These motors are positioned flush within your driveway, the drive shaft is attached to the bottom of the gate, so when the shaft axle rotates, your gate opens/closes. These units are electromechanical, and have the capability for residential and commercial usages, they are compact, elegant with a streamline profile allowing perfect and discreet integration with any type of gate. Sliding gates are electromechanically operated. Sliding gates are ideal if you have limited space in your driveway and there is also the option of having a pair of sliding gates. There are many options available as steel fencing comes in a range of standard lengths and heights. Strong sturdy and secure with a first class installation, steel fencing can provide an excellent means of securing a range of environments. Whether it is an industrial building or one that requires a more aesthetically pleasing look such as a public building, you can have your steel fencing adapted to your specific requirements. In addition to a wide variety of designs most railings and fences are also available in a variety of shapes, from the simple flat design through archways to upward and downward curves. We also take on projects in matching or replacing railings. All the railings are fabricated in our own workshop and can be installed if required. If you require a bespoke metal staircase then you can get exactly what you need from Steelcraft Gates Ltd.
Staircases are a great way to add the ‘wow’ factor to a property and can create a wonderful feature focal point. There are an array of finishes and materials that can be used such as spiral staircases, stainless steel hand railing, glass balustrades , fire escapes and access staircases, cat ladders and many more. Interested in finding out more..?